SEE SCHEDULE AND DETAIL OF NEXT MOTOR SHOW "TOKYO MOTOR SHOW 2015"
The 43rd Tokyo Motor Show is one of the world's top motor shows, taking place every two years. 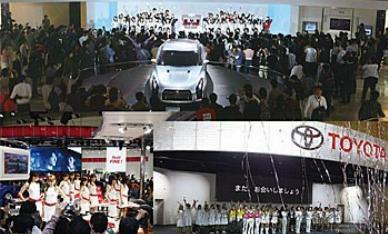 The 2013 Tokyo Motor Show will introduce Japanese new cars as well as non Japanese cars, motorcycles and commercial vehicles. 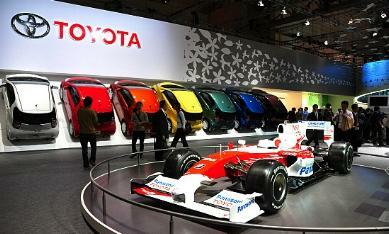 The Tokyo Motor Show 2013 will display the latest Japanese cars and non Japanese brands, including many concept cars. Many of the display cars will have their world debut, and will offers visitors a brilliant chance to physically view some of the latest models of the world in term of engineering, Eco technology, passengers safety and green car technology. Several auto manufacturers, especially Japanese cars makers will show their concept cars, with latest and most advance technologies. Commercial vehicles section includes top Japanese makers of buses, and trucks and vans like Hino, Isuzu, etc. Various concept models of the latest technology in commercial vehicles will be on display in 2013 Tokyo Motor Show of this year. Major motorcycle makers such as Honda, Yamaha, Kawasaki, and Suzuki etc. also shows their latest models, including racing motorcycles and the concept bikes models.The most advanced auto parts, automotive tools, latest technology tires and automobile entertainment systems that make new vehicles as well as used Japanese cars safer and easier to use as well as advanced audio, visual and navigation systems that makes driving experience more pleasure will be on display. Note Admission time and number of visitors are subject to change. Certified and Approved cars by "Japan Inspection Organization"